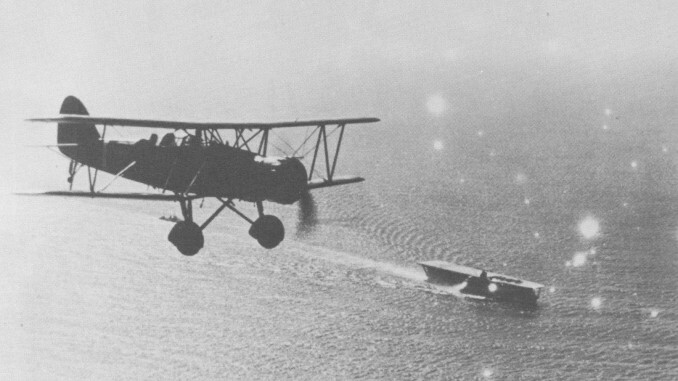 The Yokosuka B4Y was a carrier torpedo bomber of the IJNAF. 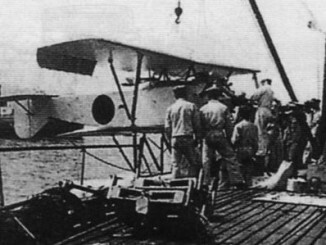 The 7-Shi (1932) requirement for a carrier attack bomber produced the Yokosuka B3Y, which was inadequate for the role. So, the 9-Shi (1934) requirements specified the need for a more capable replacement to be developed, preferably with performance to match or exceed the D1A and A5Ms that were already on order for the IJNAS. The First Naval Air Technical Arsenal design team, led by Sanae Kawasaki, responded to the requirement with what turned out to be the winning aircraft. Their design used the biplane wings from the successful E7K, and was the first Japanese carrier attack bomber to use an air-cooled radial engine – the Nakajima Hikari 2. The design sported fixed, spatted landing gear, and an enclosed cockpit for the navigator and radioman/gunner – although the pilot retained an open cockpit. Yokosuka B4Ys served in Sino-Japanese War as part of the 13th Kokutai, and helped to destroy the Chinese Navy’s cruisers that were lurking in the Yangtze in September 1937. They also played an infamous role in the sinking of the gunboat USS Panay off Nanking the following December. 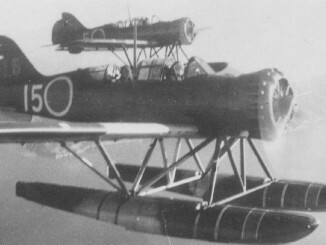 More advanced Nakajima B5Ns began to come into use from 1938 but the B4Y operated alongside the newer bomber for a number of years. Several B4Ys remained in service as late as the Battle of Midway, where 8 were flown from the deck of the old carrier Hosho. Soon after though, the type was withdrawn to training and second-line roles as the B5N took over completely. The B4Y was assigned the Allied Reporting Name “Jean”, in honour of General MacArthur’s wife, in 1942.